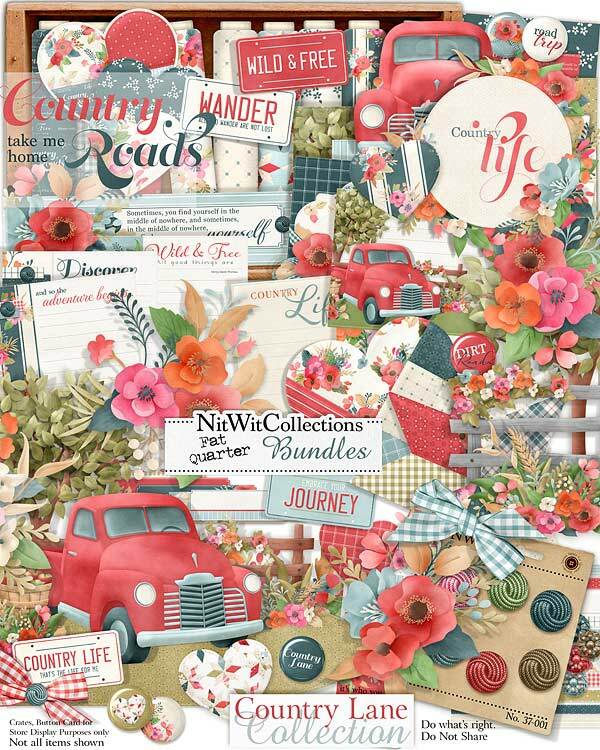 FQB "Country Lane" Collection will take you on a journey down country roads or wherever your travel takes you! 4 Flower clusters....wildflowers are so pretty at this time of the year! 1 License plate element - "Wild & Free"
1 License plate element - "Embrace your Journey"
1 License plate element - "Wander....."
1 Sentiment digital stamp - "Country Roads...take me home"